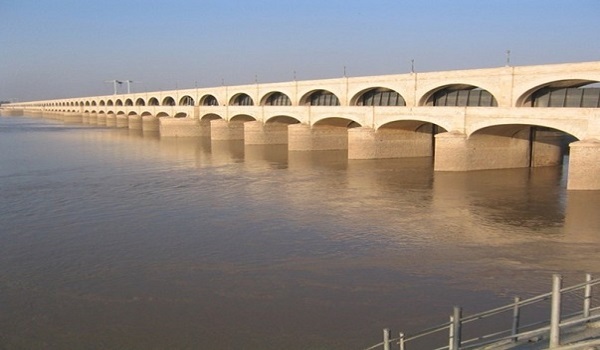 Karachi: The Sukkur Barrage repairs will cost PKR 25 billion, while the construction of a new barrage will cost a whopping PKR 100 billion, according to Irrigation Secretary Zaheer Hyder Shah. Shah said the barrage, constructed in 1932, is in a dilapidated condition currently. All its gates were replaced between 1986 and 1992 but five of them need to be changed again. Reportedly, restoration of the barrage will require the repair of canal head regulators, right pocket river training works, fish-pass and overflow weirs. The monitoring and control instruments will also be modernised, and the pond level under the gates will be increased to allow them to open to their fullest capacity.